This didgeridoo we made two years ago. In search of good closed tube response and good aircode response. The fact is that these two factors are often against each other. One asks for relatively closed inner taper, the other for relatively open. You either get openness and sustain or you get precision of articulation. The result is quite a soft, comfortable didgeridoo to play. When I say soft, I don’t mean soft as many common didgeridoos with prevailing bass area, but for a Duende it is soft. 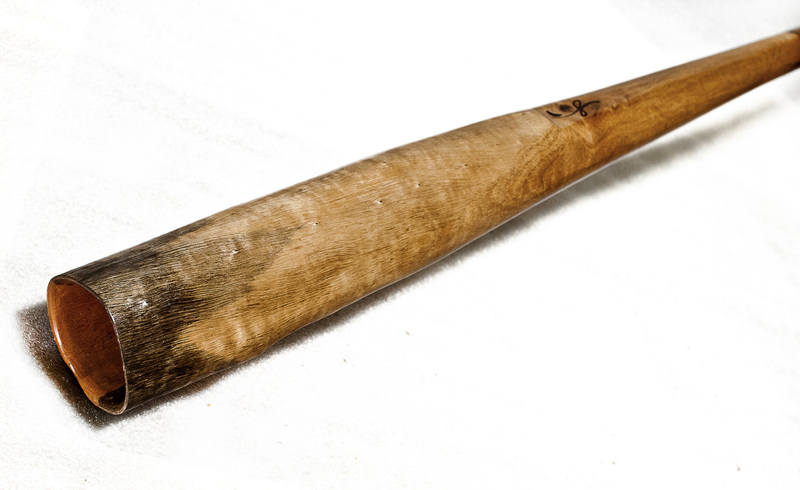 The wood is a eucalyptus similar to Bloodwood, but brown in colour. You will find decent amount of transients and response, but you will not find copious amount of response and precision as the Duendes specifically made for that purpose. 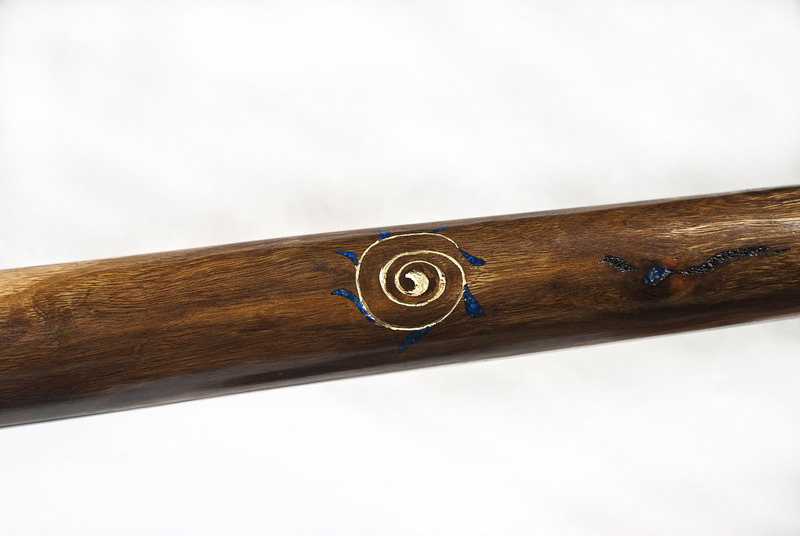 The walls of the didgeridoo are made quite thin (evenly) which is also a kind of exception for a Duende didgeridoo. It makes this instrument very easy to carry in comparison to its size and wood hardness. But it does not make it very suitable for extra high pressure playing as the instrument will start to vibrate too much. Toots are very easy on this didgeridoo. I would say that even a novice will get three clear ones. More experienced and stronger players can expect a full spectrum. But I prefer to use this didgeridoo for textures of drone and voice, or toot and voice where they can make really beautiful interactions which are also very soothing for the player. There is something extraordinary about the easiness the lips maintain tension on the drone on this didgeridoo. It is a correlation between the mouthpiece size which is fairly small and backpressure which is fairly high for the key. This results in a very easy maintenance of the clear drone. 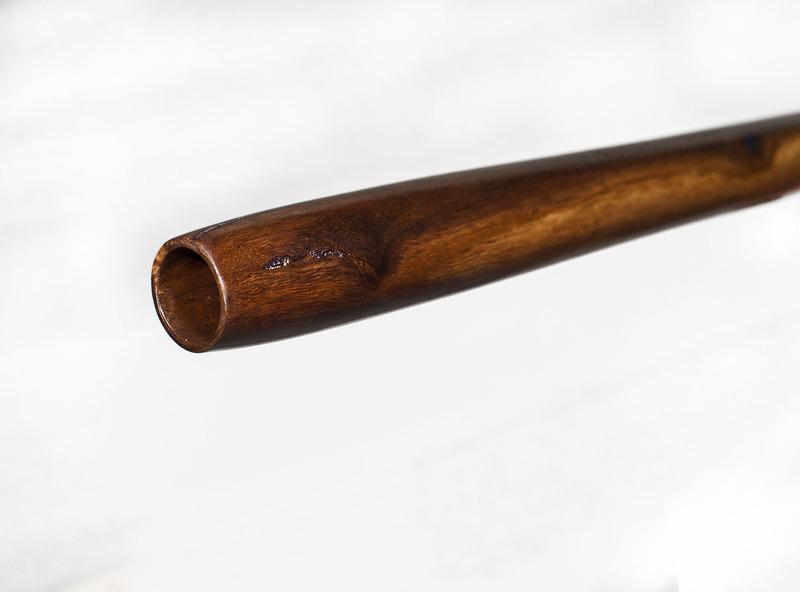 I would actually recommend such didgeridoo to someone who wants to transition from side to mid lips playing. I feel this instrument would give a very comfortable support for the transition. All in all, this didgeridoo has a well balanced aircode with drone and is not meant for too complex articulations. It is immaculately thinned in its walls. It has a mouthpiece on the small side and I really do feel it would fit slightly smaller lips better. It has pleasant textures. Not very loud for a Duende. My main feeling of it is soft, not too precise, but not imprecise either, charismatic, very appealing to look and touch. 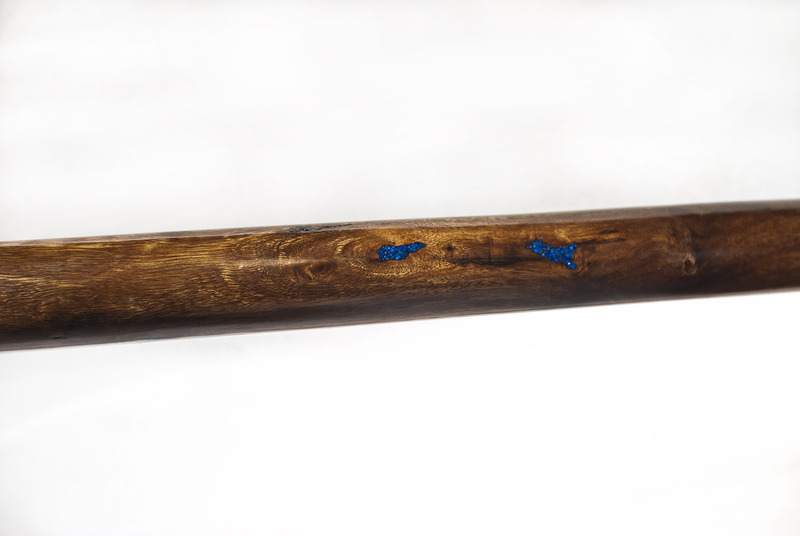 I would recommend this didgeridoo to a player who is more focused on slower or medium speed kind of playing. Melodic and harmonic side, rather than a rhythm articulation beast. Don’t get me wrong, this didge can play on a trance festival and probably is superior to many, but I see it more in a meditative evening kind of event as its whole energy is somehow very gentle.